How many pumps and jets does your hot tub need? 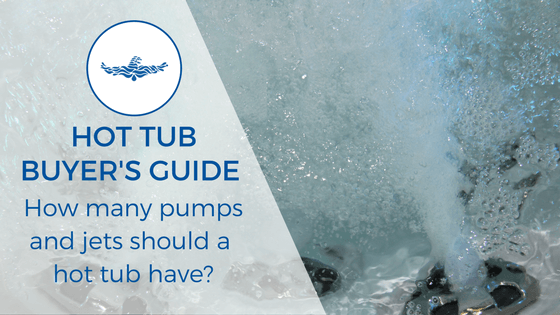 Hot Tub buyer’s guide: how many pumps and jets should a Hot Tub have? I’m no electrician. My understanding of electricity is pretty much limited to plugging things and hoping they work. So, every so often I ask out engineers (who are electricians) an annoying number of questions. All to help me (and you) understand why horsepower (HP) is (or isn’t) the be all and end all for hot tub pump and jet power. What does determine the power of your hot tub? How many jets does my hot tub need? Standard plugs that your TV is plugged into is 13AMPs. Most tubs require 32 AMPS. With some higher, around 40AMPS. If you tried to plug in something that required 32 AMPs to a standard 13AMP socket, it would trip the electrics. And similarly, if you plug anything in that requires a higher supply than it is given, it will trip. This is a built-in protective measure to prevent cables melting and fires. How many pumps & jets does my hot tub need? 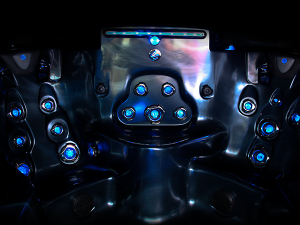 Pumps and jets are a numbers game in the hot tub world. Retailers and manufacturers pack as many pumps and jets in the hot tub as they can. And they make sure you know about it. Hypothetically speaking. In a world with no limit on power. More pumps and more jets would make a more powerful hot tub. More pumps/jets = more power = better hydrotherapy. 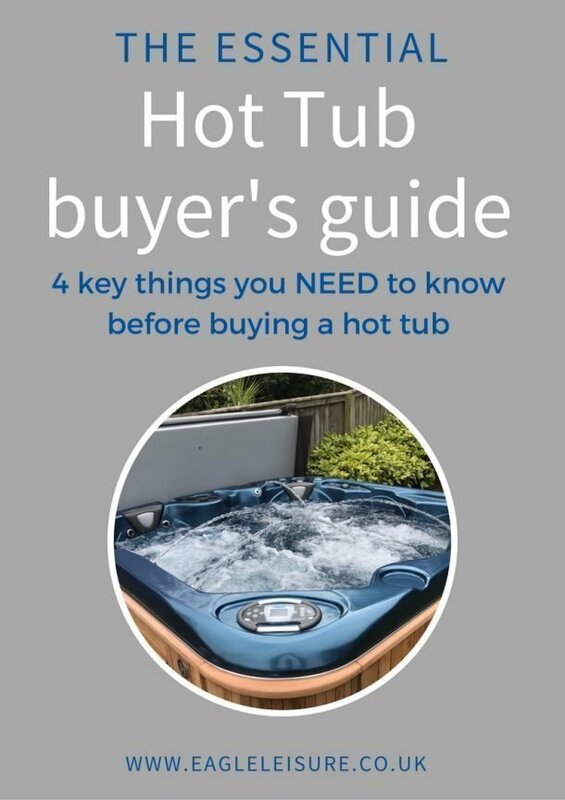 But, there are a couple of VERY IMPORTANT things to remember when buying your hot tub. Houses don’t have an unlimited supply of power. And hot tubs are supplied a limited amount of the overall household electricity (usually between 13AMP – 40 AMP). Let’s look at an average hot tub with 2 x 3HP pumps. This is where the maths comes in. So stick with me for a minute. Remember this is ONLY the power needed for the pumps. Hot Tubs also have heaters, control boards and lighting that draw from the AMP supply. A heater is on average 2kw – 3kw. Average AMP 12. The moral of the story. 2 x 3HP + a heater + maybe some lights/music = 32AMP. 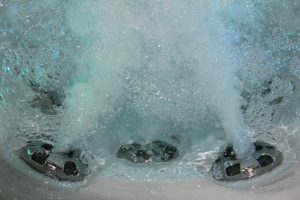 Manufacturers and retailers regularly advertise hot tubs with 3, 4 and even 5 pumps. But once you know that a hot tub has a limited source of power, this becomes a lot less impressive. It’s a sales pitch, aimed at making people believe the hot tub has more power than it actually does. Yes, of course, some pumps are more powerful than others. But there is a whole host of other factors that affect the power of the hot tub. So, you’ve seen a hot tub that says it has 3 x 4HP pumps, with a 32 AMP supply. But with the calculations above, that isn’t quite adding up. Most manufacturers advertise brake horsepower (BHP), rather than continuous horsepower. Brake horsepower is the power and speed of the pump as it starts up. This only lasts for a couple of seconds. Then the power drops down to continuous horsepower. Or in other words, BHP is higher than HP and sounds better when selling. So, the main point to take away from this is that using HP to compare the power of pumps may not be the best way to understand how powerful your jets will be. #3 What does determine the power of your hot tub? Horsepower does matter. The higher the horsepower the higher the potential for a greater pump and jet pressure. It’s just not the only thing to worry about. The number of jets is directly proportional to the number of pump and size of your hot tub. Don’t worry, no more maths. Just remember that if you have 100 jets. And only one pump. Each jet will be very weak. Alternatively, if you have one pump. But is only pushing to 30 jets then your hot tub will be more powerful. Similarly, the larger the body of water. The more pumps you will need to push the same number of water out of each jet. This is the reason we usually recommend 2 pumps per 50-60 jets. This will offer a good power/jet ratio. Horsepower of the power of pumps is important in determining the potential for a powerful hot tub. But, it might not be the best way to understand how powerful your hot tub is. You need to look at this in conjunction with pump flow rate, plumbing, jet design and jet placement. How much does a hot tub cost per month?